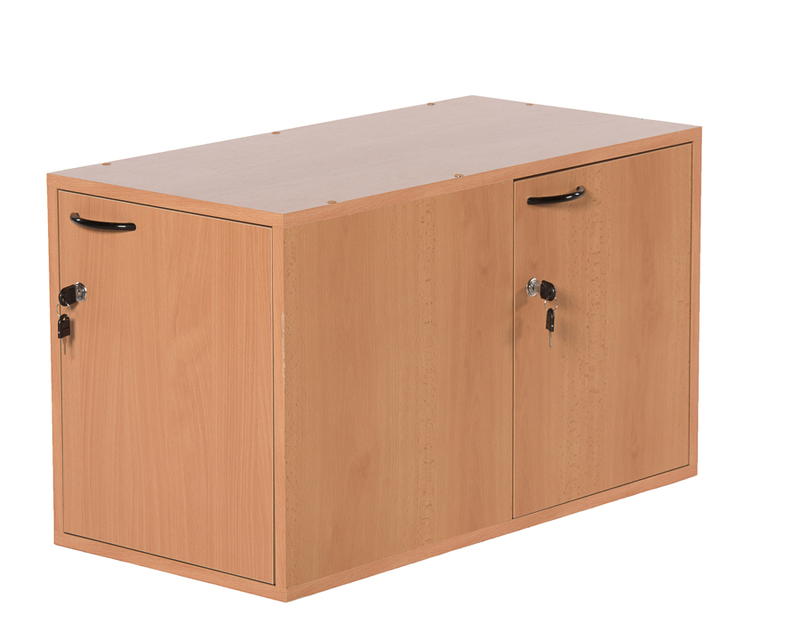 This European made Quad Beaver Workbench can be used for up to four students at a time and is designed for larger school classrooms. 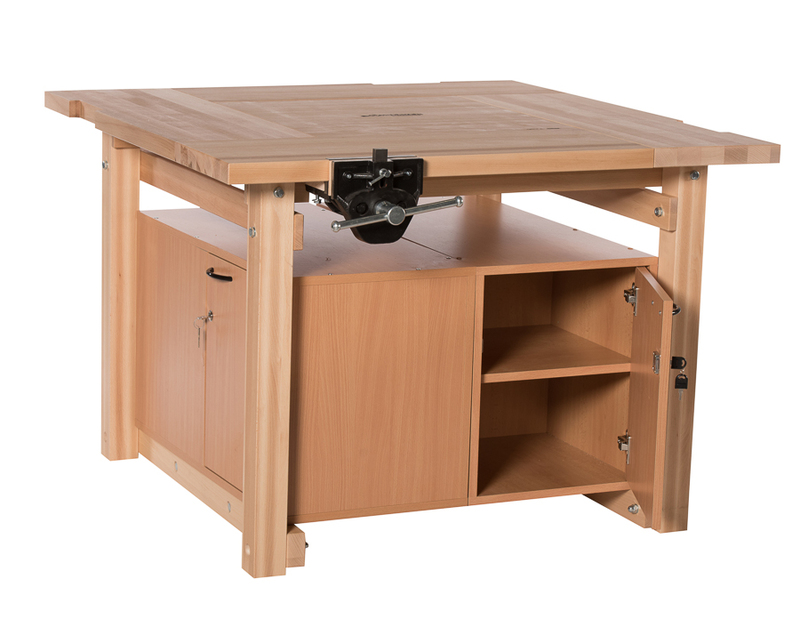 Beaver also makes two other classroom workbenches in different sizes to accommodate two to four students per bench. European Beech hardwood gives this bench high durability and a long service life. 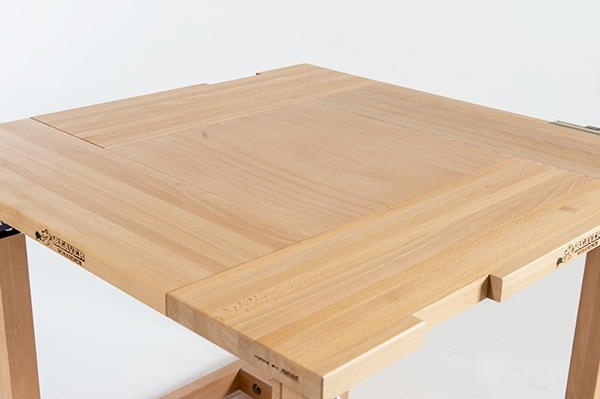 The large top is a full 1 5/8” thick adding to its weight and contributing to working stability. 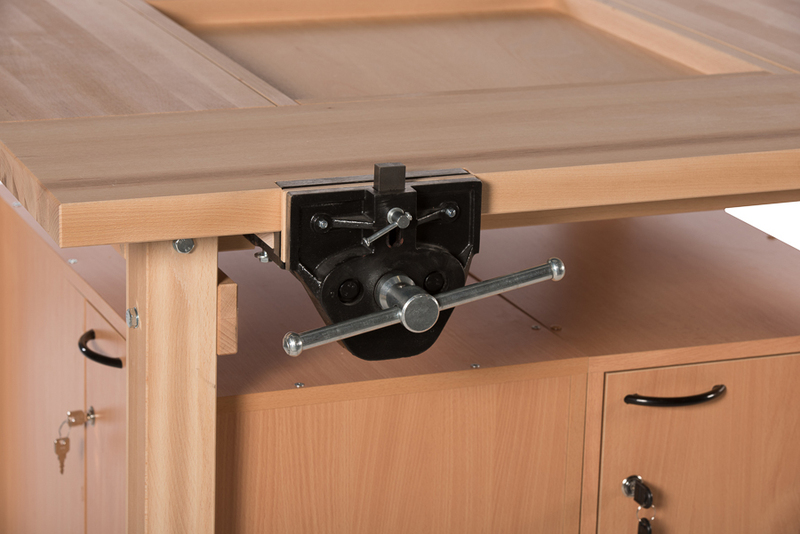 Space is included for mounting up to four quick release bench vises (not included). 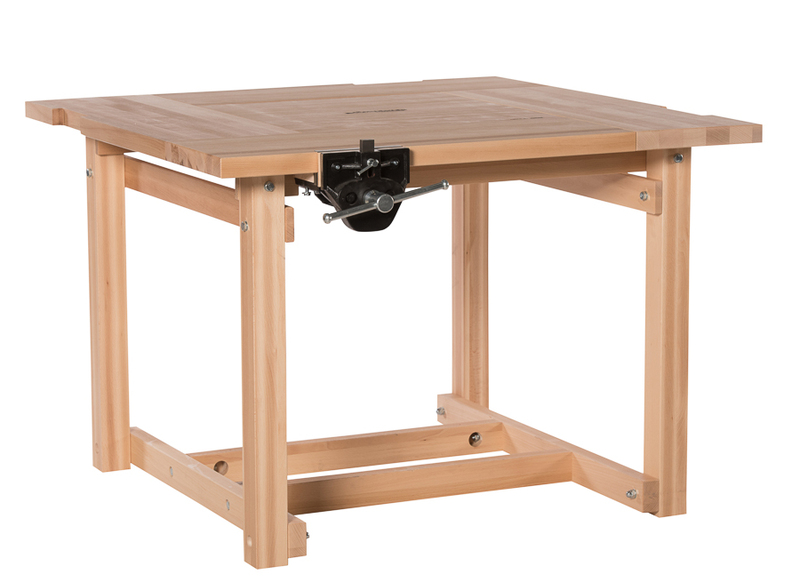 This workbench is designed to fit Beaver CWI-BWV7HQ 7″ or CWI-BWV9HQ 9″ quick release vises made by Beaver in Europe. We sell theses vises separately and offer custom quotes for larger school needs. 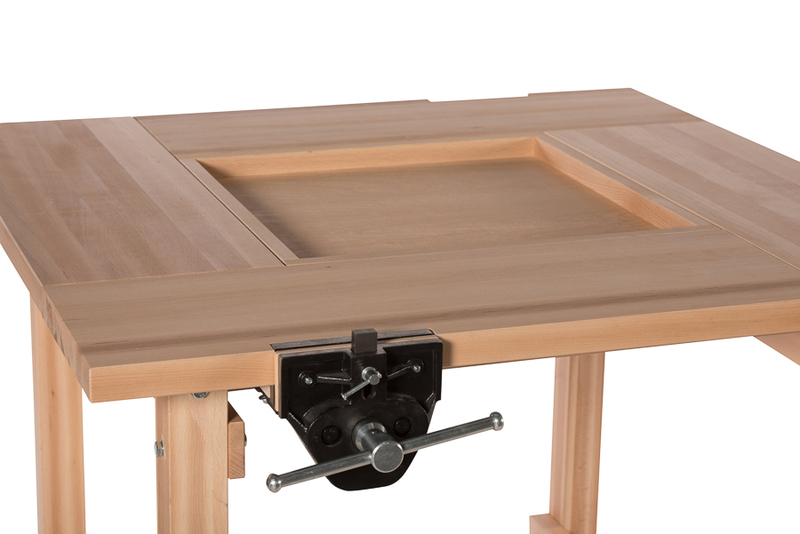 The 48” x 48” work area includes a 24″ square tool trough in center of the bench for holding tools and materials. This tool trough can also be reversed in the top to give a full flush working surface across the entire bench. This bench comes with a stable beech leg system with a comfortable bench height of 33″. This bench also has the option of one or two cupboards, which fit underneath the bench for additional tool storage. Ask your service agent for pricing and availability on the optional accessories. This bench is an excellent choice for the school classroom environment, providing ease of student accessibility and years of prolonged use.